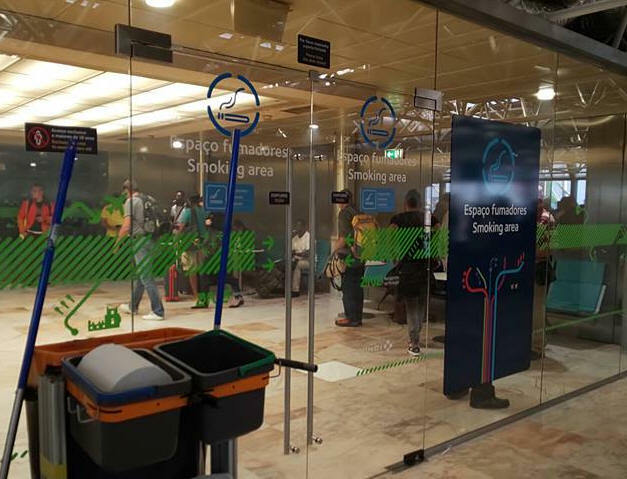 Smoking is only permitted in designated areas outside the terminal and arrivals in Terminal 1. Update and photos below from Yusuke Y. from Japan on the 30th Aug 2018: I was there on 26th August 2018 and flew LIS-->MAD. After the passport control, near the gate S20, there is a large smoking room with many visitors. See the fotos attached. Feedback on ANA lounge from Steve H. on the 28th April 2018. 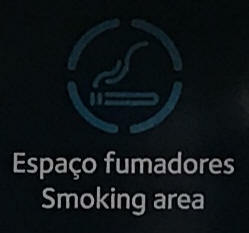 The smoking area is located inside the ANA lounge. It costs €29 to access but worth it as whilst your in you have unlimited food and drink and access to the smoking room. 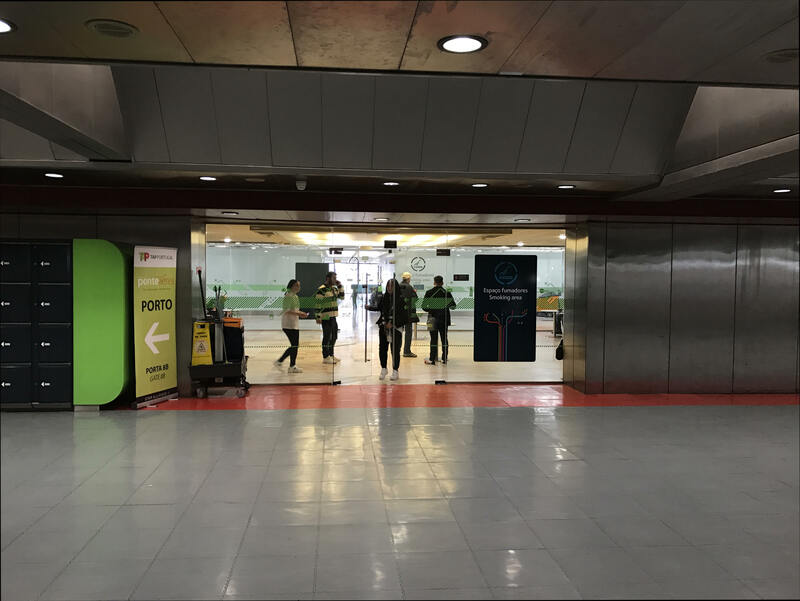 Large smoking area by belt 4 in arrivals at Lisbon airport Feedback provided by Ali k on the 9th May 2017. There is a designated smoking area available. Location: Airside, Near Gates 17-21. 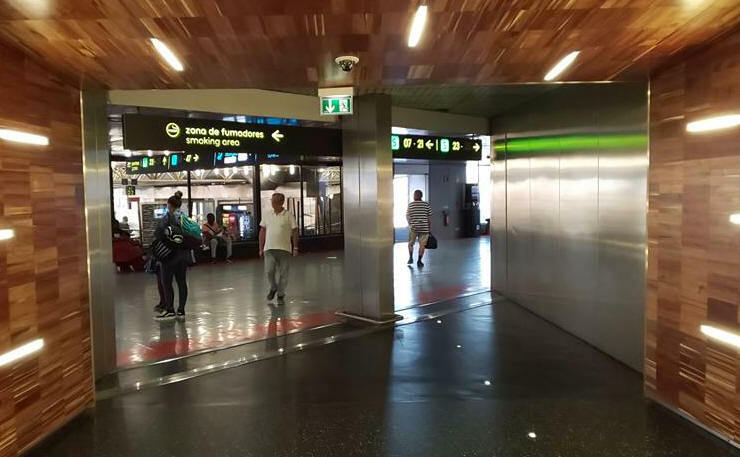 Terminal 2 is a 3 minute bus ride from Terminal 1, bus leaves every 10 minutes. 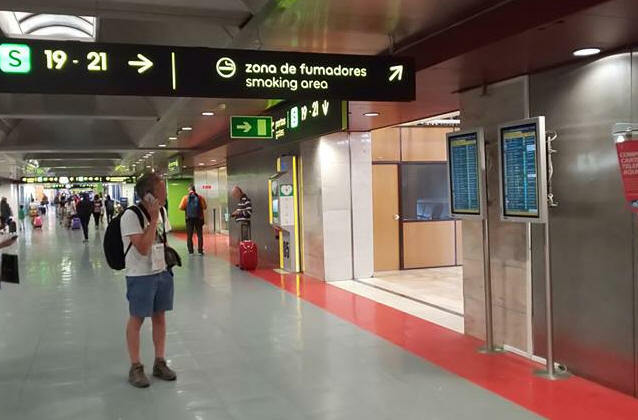 Important Note from Ben 29/01/2017: I'd like to add some information about Lisbon, Portugal, airport: It has smoking areas after passport control, but NOT in the terminal that handles budget airlines like Ryanair. The low budget departures area is basically a dump that has a few restaurants, far too few sitting spaces, and no smoking facilities at all. I think travelers should be aware of this - it is an entirely separate experience from the normal departure lounge that has smoking areas, restaurants, shops and lounges.